If you prefer bold over understated, then mixed materials are the way to go. 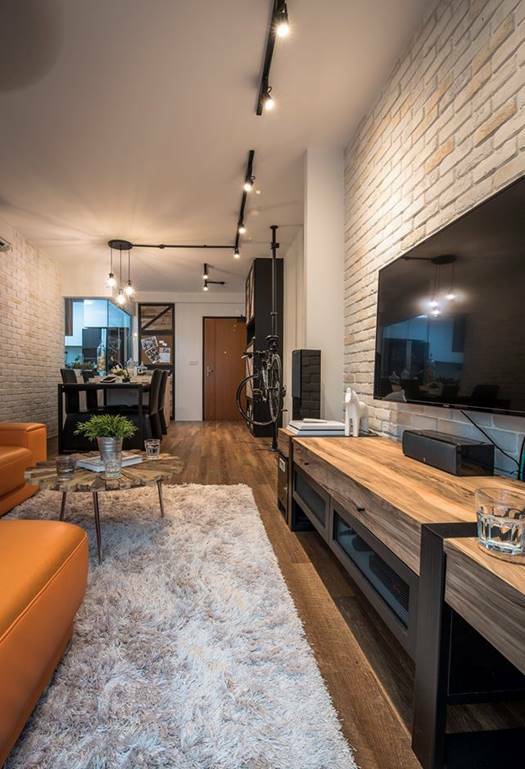 The contrast of wood against metal, glass against brick, and colours against textures can create a powerful visual dynamic, allowing your decor to pop effortlessly. But correct use of mixed materials is anything but effortless. Fortunately for the reader, Renopedia has plenty of examples to illuminate and educate. What follows is the optics of mixed materials, and how they can work best for your home. 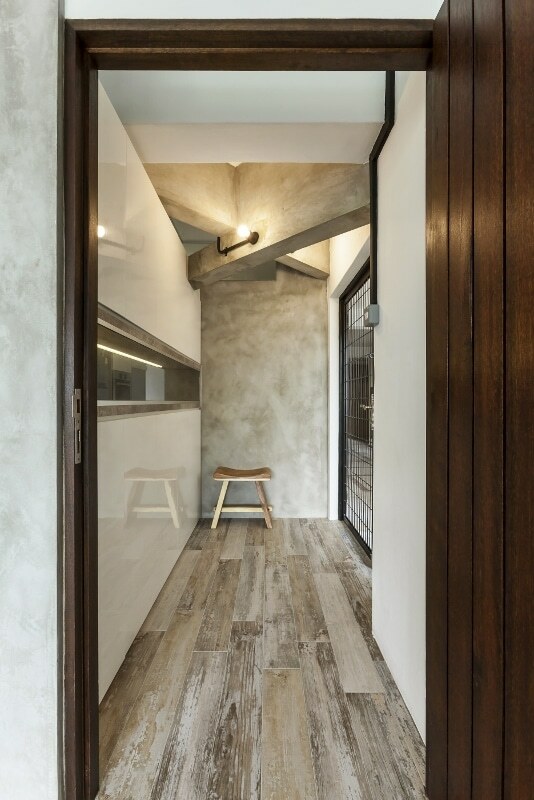 When we stare down this hallway we're struck immediately by the collision of colours and textures: the lush brown frame of the wooden door versus the worn and faded planks on the floor, the stark grays of the cement wall and overhanging beams versus the polished glimmer of the left-hand wall. There's even a metallic door and wooden bench. All of these divergent looks, textures and materials create a vivid spectacle and illustrate the power of clashing motifs. 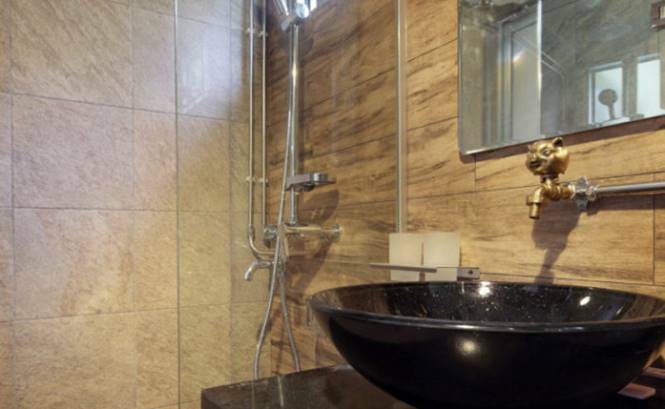 Here we find that mixed materials work just as well in bathroom settings as anywhere else in the home. A black ceramic sink bowl, a bronze faucet, a wooden wall which intersects against the marble stone tiles, and of course, the somewhat invisible glass divider—all of these different elements which naturally clash come together here, achieving a cohesion of beauty through contrast rather than similarity. It's in the name itself: Scandustrial, a merger of Scandinavian components with Industrial design. When these two forms come together, we have the outcome pictured above. This apartment unites rugged brick walls with organically-textured wood, smooth ceilings with shaggy rugs, and the result is powerful and stark, though still beautiful. Sometimes the most effective contrasts aren't between several different materials, but just a few. 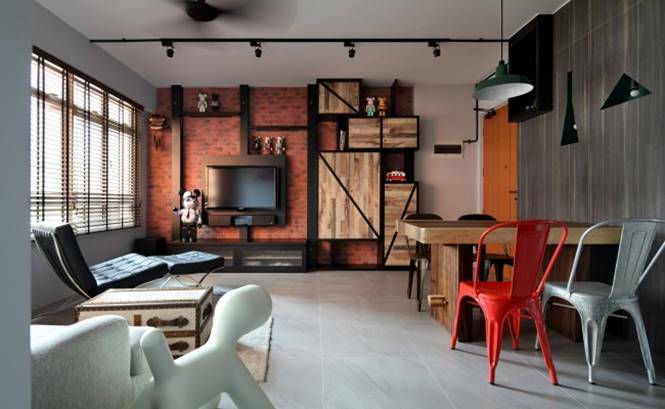 Here we find an abundance of wood: smooth yet organic in appearance, with visible grains and dark streaks, the natural material contrasts very subtly against the brown brick of the rear wall. It's almost a contradiction of styles: while wood and brick are opposing materials, here they achieve harmony through a similar colour palette. However, the very conspicuous differences in their textures enable them to be distinguished. 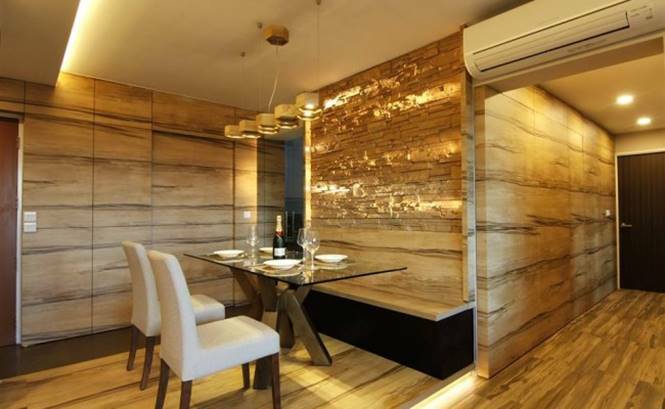 At first glance, what strikes us most about this apartment is its total lack of focus. Because the room is overflowing with items and furniture and colours and textures, the reader's eye has no place to settle but keeps moving from one place to another. This lack of center or cohesion is gained by the use of mixed materials, from the red brick walls to the burnt wooden cabinets, from the tiled floor to the plaster ceiling and walls. The result is bizarre but certainly unique. While the purpose of blending diverse materials is to create a bold look, this interior achieves a more sophisticated display. 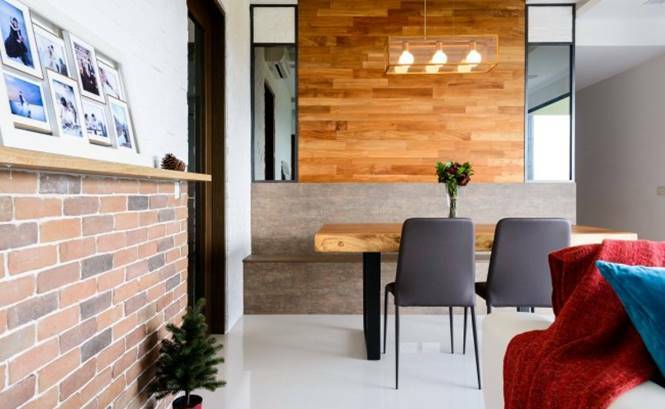 Although wood, brick and marble are used in a single room they're spaced out in such a manner that there's no jarring visual effect, but rather a more elegant one. As these examples repeatedly prove, mixed materials can lead to powerful looks. They're not for the faint of heart—so if you're feeling bold, why not consider adding some contrast and conflict to your next renovation project?